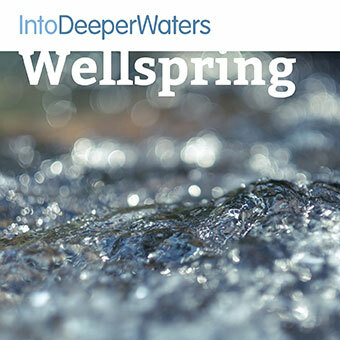 ‘Wellspring’ is an awareness exercise, before an imaginative meditation on a well, with an opportunity to reflect on what nourishes and energises you. You will need paper and a pen/pencil during this meditation. Find a time and a place where you can be quiet and free from distractions. If there is a handout with the meditation you have selected, print it out. Press play and enter into the meditation. If your mind wanders you may find it helpful to look at the photograph that goes with the meditation that you have selected. When the meditation ends you may like to listen to the optional song, if one is suggested. Before you return to your activities, take a few moments to reflect on your experience of the meditation and to maybe record, in a notebook or journal, any words or pictures or verses that have come to you during this time. Finally take a moment or two to be thankful for what you have received/experienced through this meditation. *	no extra content has been specified for this meditation. An opportunity to enter into stillness, and rest in God’s presence. An opportunity to enter into stillness, to consider the word Gift and to encounter the Lord in the silence.